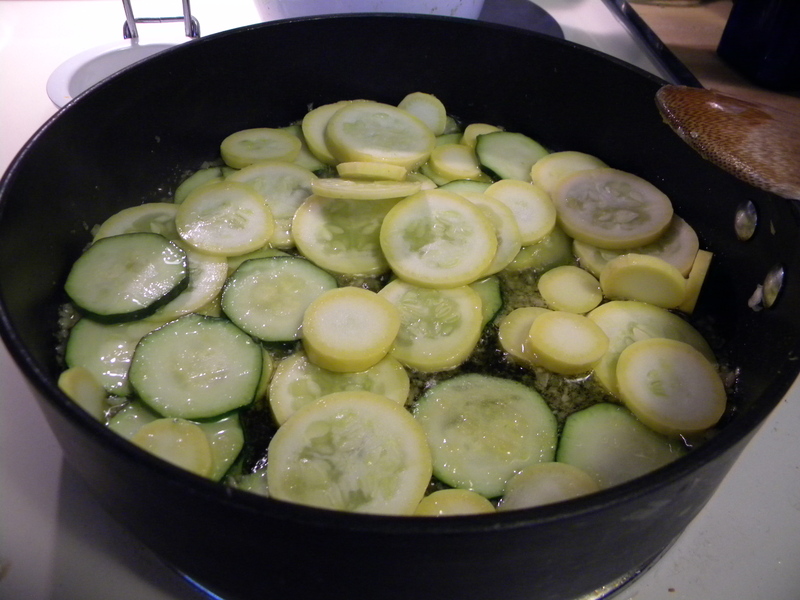 One of my favorite dishes every summer is this veggie one. I always start with extra-virgin olive oil and chopped onions or shallots or leeks (whatever you have on hand). If you like green peppers, throw those in, too. Saute the onions in the olive oil until they’re tender. I’m using a 10-inch pan (with lid for later). 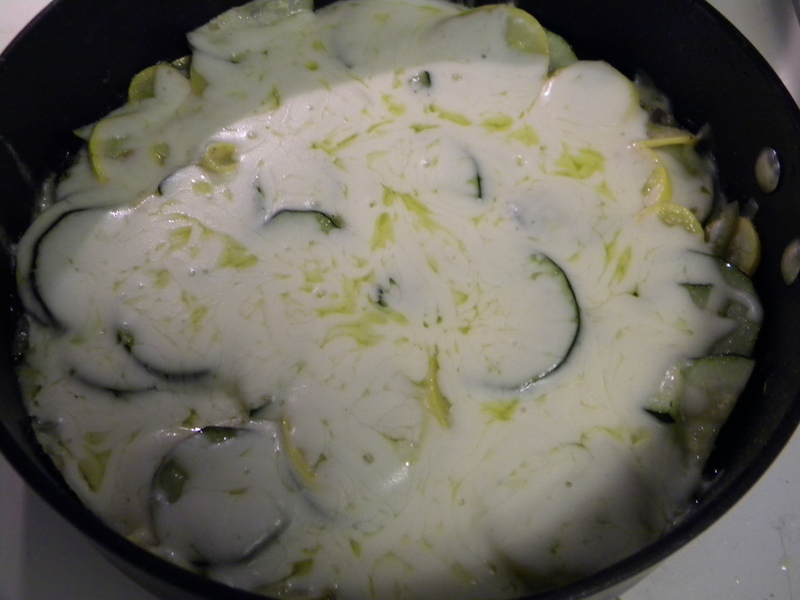 Add sliced zucchini and summer squash. Saute until tender. You can add mushrooms or anything else you enjoy. Add a shake or two of salt and pepper if desired. At this point, I love to add a layer of sliced fresh-from-the-garden tomatoes (but they won’t be ripe until next week so I’m doing without them here). 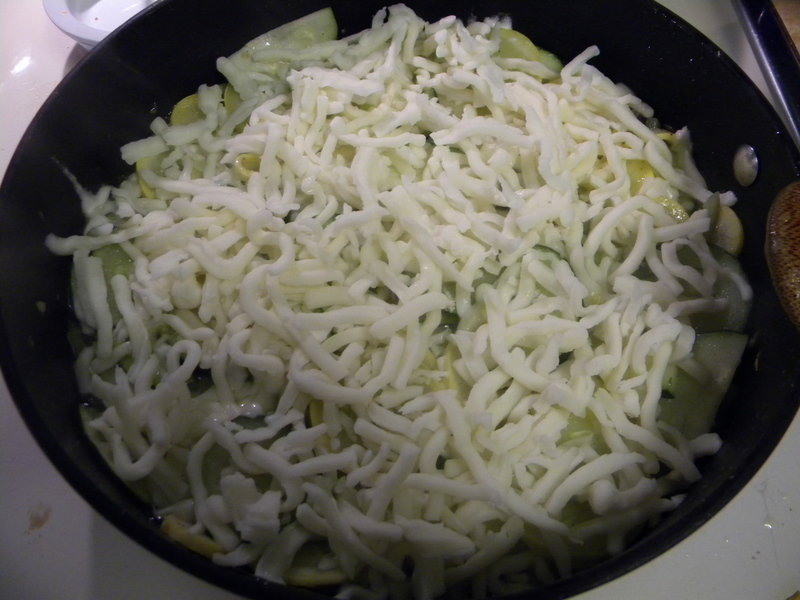 Next, add a layer of shredded mozzarella cheese (or sliced if you’re using fresh mozzarella). 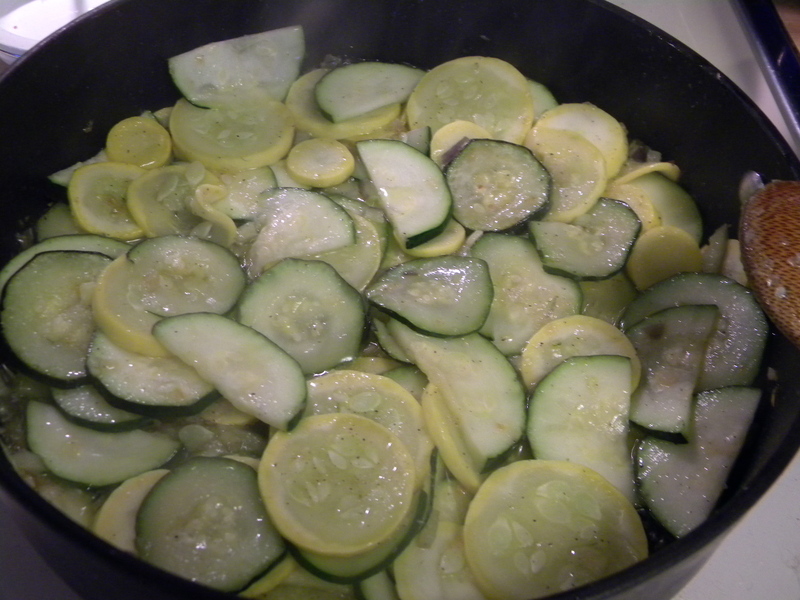 This is a very versatile recipe for your summer veggies. Simple, quick, and delicious. I love that I’m not the only one that fries zucchini. I like mine without cheese though. I bet zucchini, tomato and cheese would be amazing!